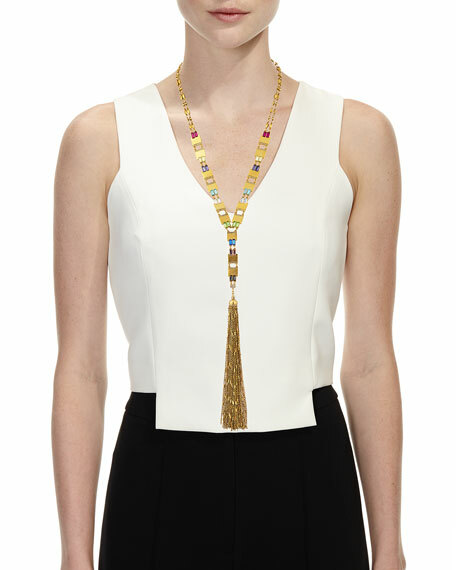 Rainbow Y-drop tassel necklace by Sequin. 22-karat yellow gold-plated brass hardware. Mixed chain and Swarovski® crystal stations. 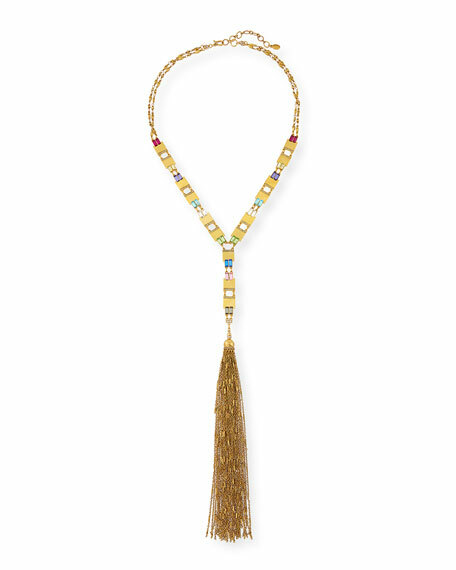 Multi-strand chain tassel Y-drop pendant. For in-store inquiries, use sku #2538596.